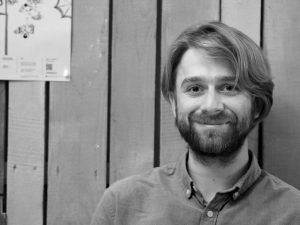 Martin Šorm, PhD student at the Department of Czech History, CUFA, has won the prestigious Visegrad Group Academies Young Researcher Award. The award is designated for young researchers under 35 from the Visegrad countries. In Martin Šorm’s opinion, the committee likely appreciated his attempts to connect history and poetry, research and social life, and the comical with the serious. Martin Šorm (1990) is a PhD student at the Department of Czech History, CUFA. He works at the Centre for Medieval Studies (Czech Academy of Sciences, Charles University) and is member of the team of the journal Dějiny a současnost (History and the Present). He focuses on medieval literature and current employment of images of the Middle Ages. Together with his colleague Vojtěch Bažant, Martin Šorm works on interpretation of medieval poems and chronicles, organises colloquia (for example on medieval comicality and on old women in the Middle Ages) and collective projects for medievalists from CUFA, and they fight against the abuse of images of the past in the public space. He is more interested in the ways in which past is employed in the present, rather than in reconstructions of the past. The Visegrad Group of Academies was initiated by the Slovak Academy of Sciences who organized the first meeting of the representatives of the V4 Academies in March 2000 in Bratislava. The Visegrad group of Academies of Sciences of V4 countries includes the Czech Academy of Sciences, the Hungarian Academy of Sciences, the Polish Academy of Sciences and the Slovak Academy of Sciences.